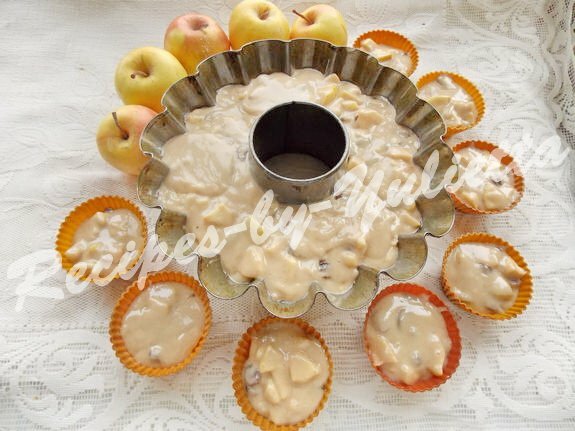 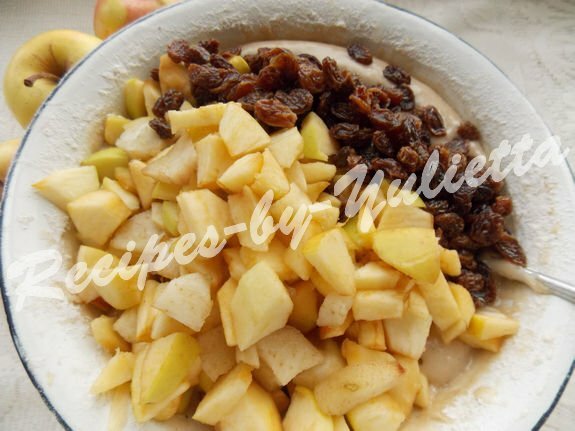 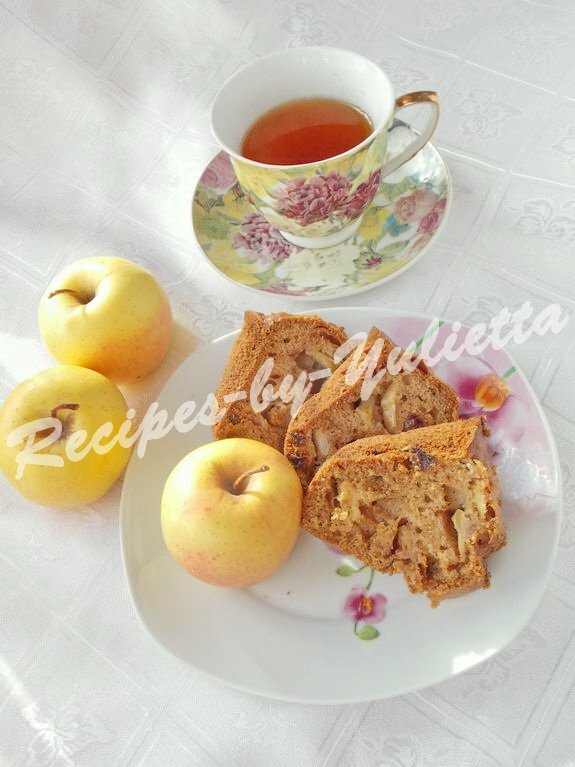 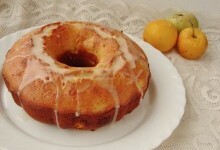 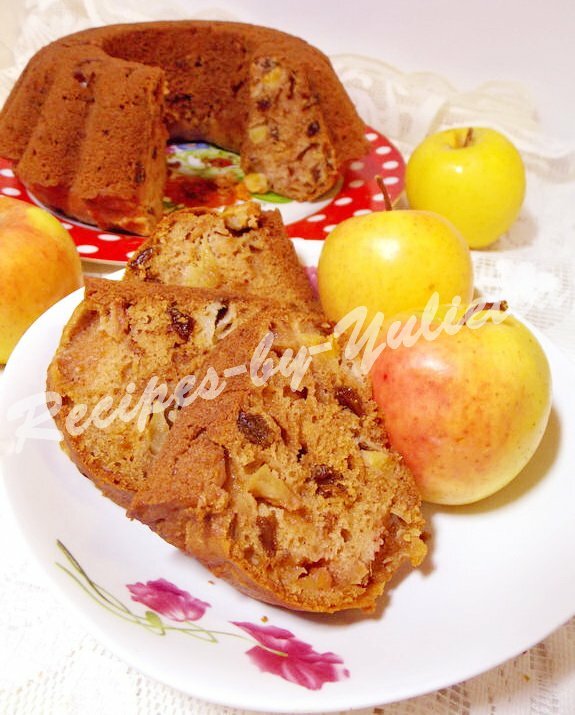 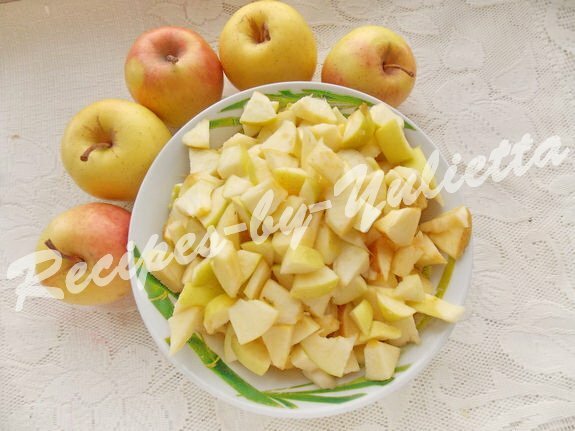 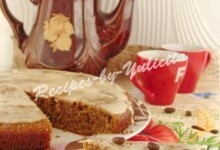 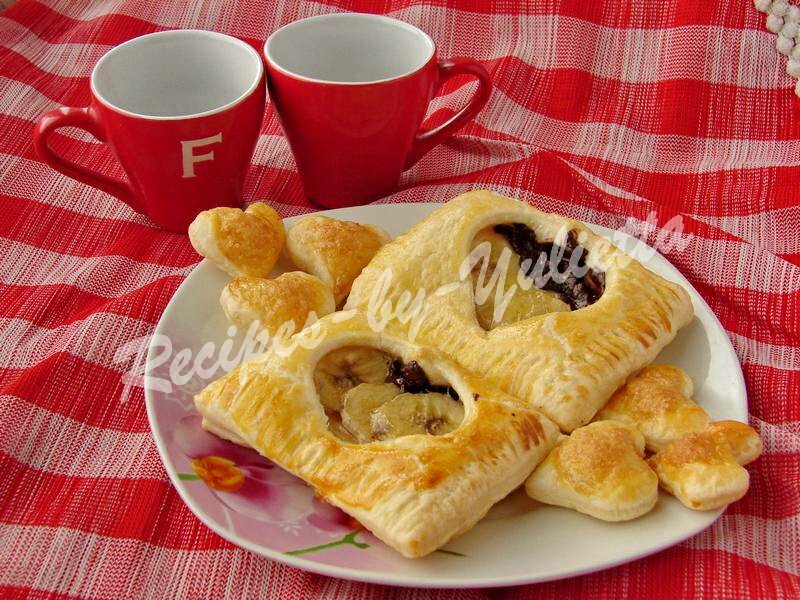 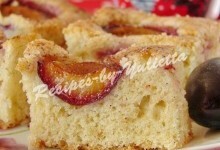 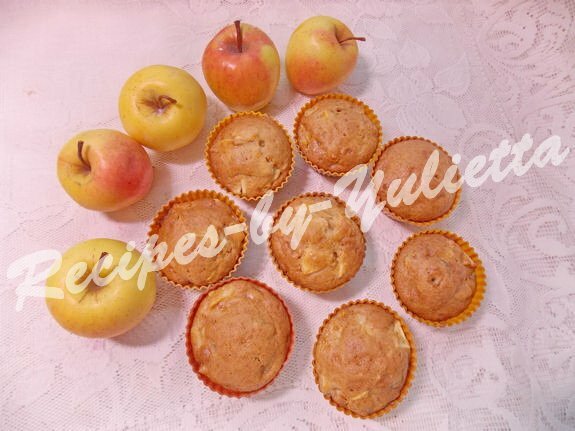 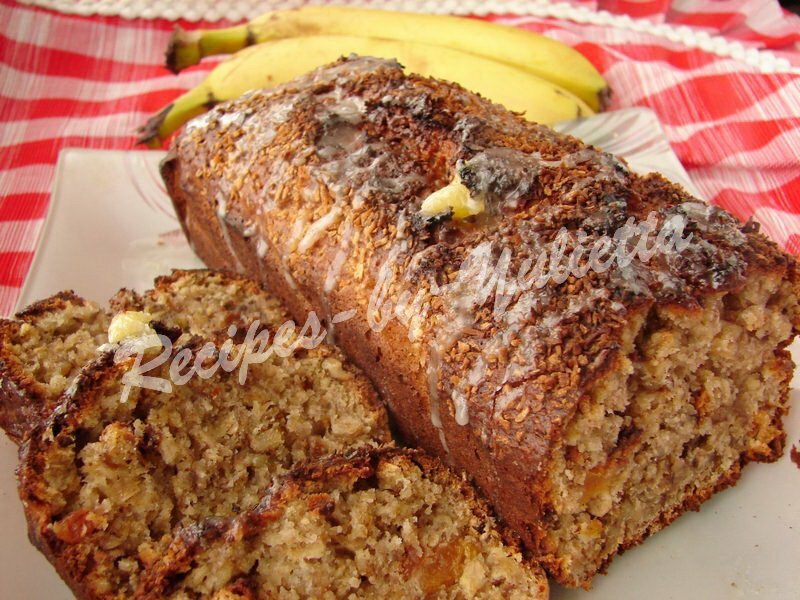 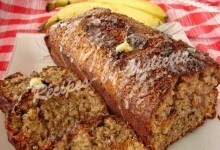 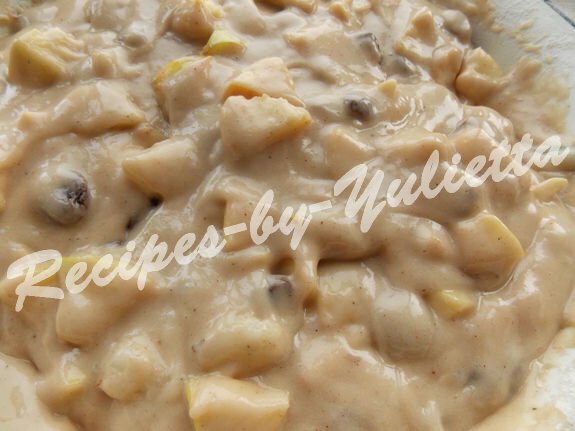 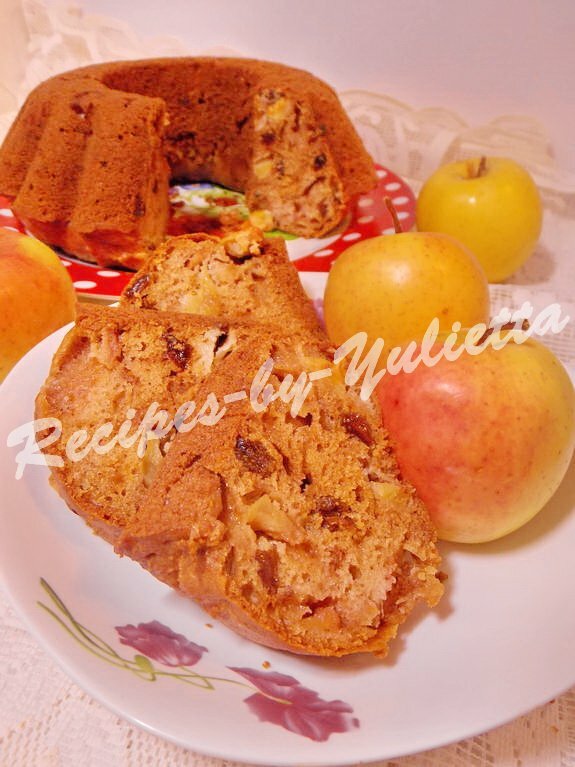 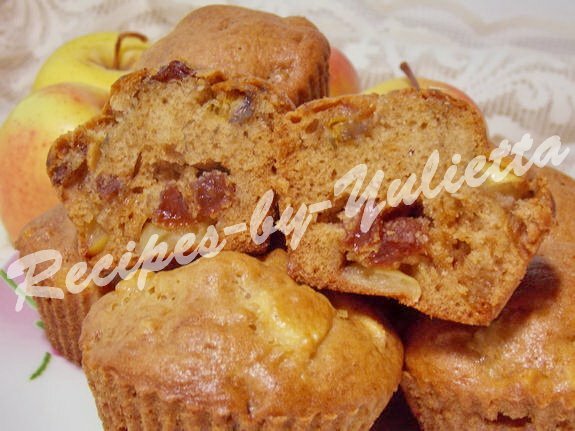 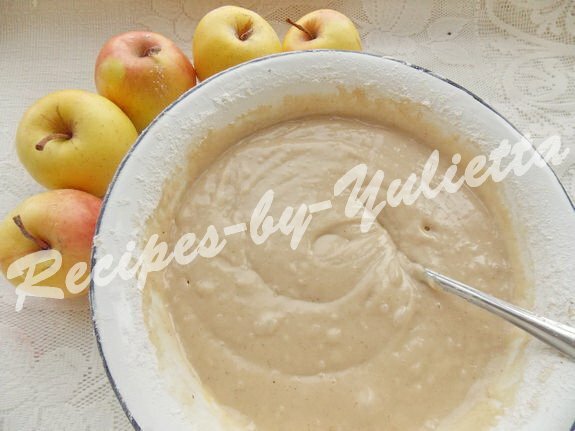 :-)Now I will tell you a wonderful recipe of apple cake with spices, raisins and apple juice! 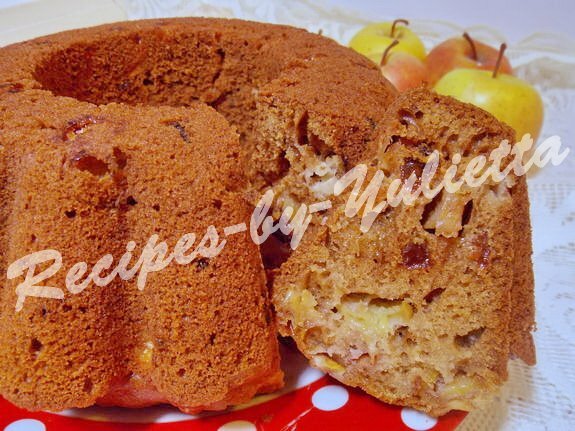 Extremely fragrant, deliciously crumbly, dulcet ... Continue themselves when you try this magical cake! 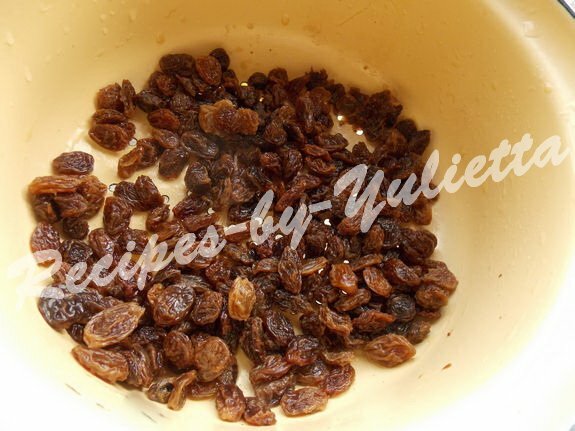 Pour raisins with warm boiled water for 5 minutes to make them soft. 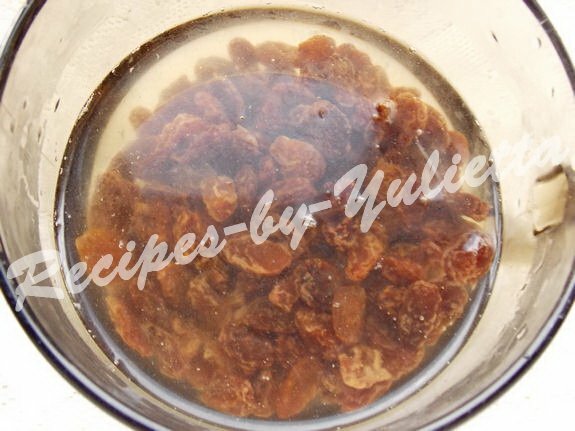 Then put in a colander to squeeze out excess water. 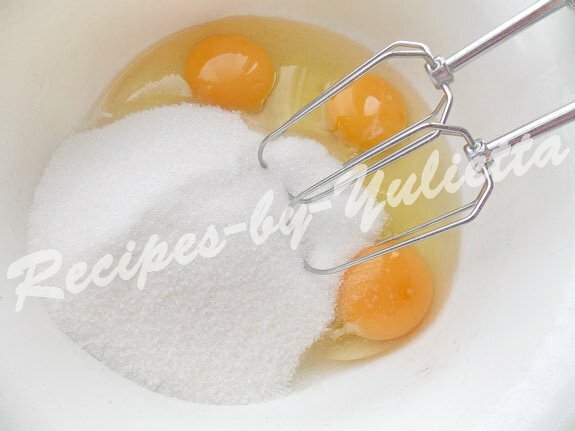 Whisk eggs with sugar an electric mixer until fluffy. 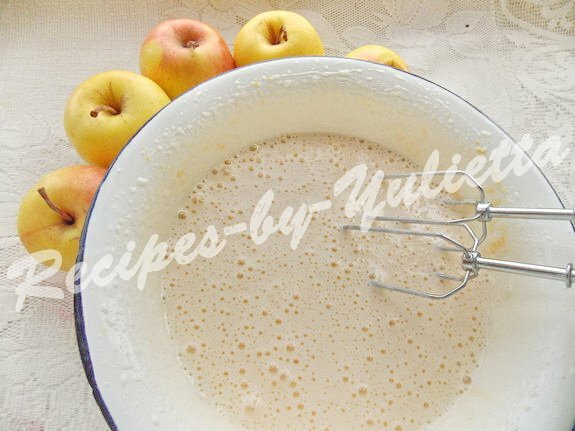 Add the apple juice and sunflower oil, still whisk. 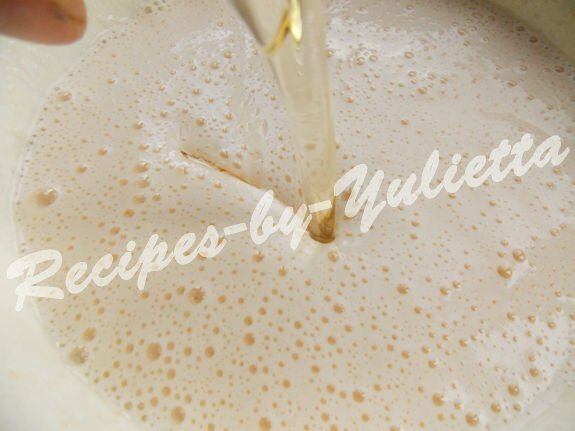 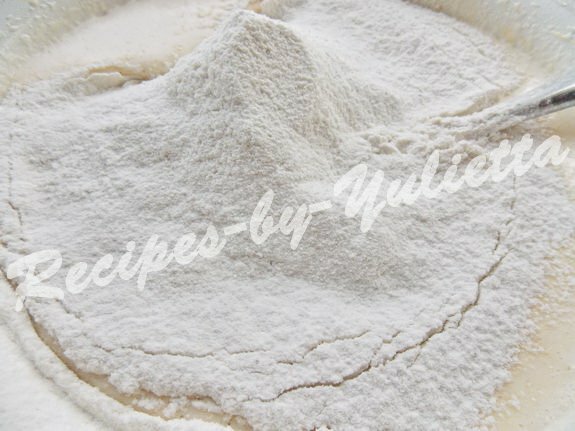 Mix flour with baking soda, salt and spices, gradually sift in the dough 3 cups of flour. 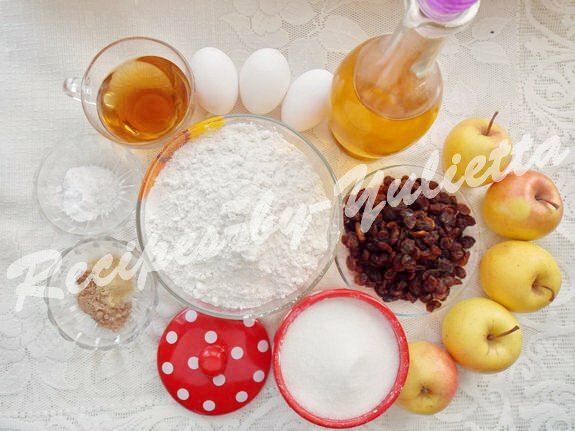 Sift the rest flour, put sliced apples and raisins. 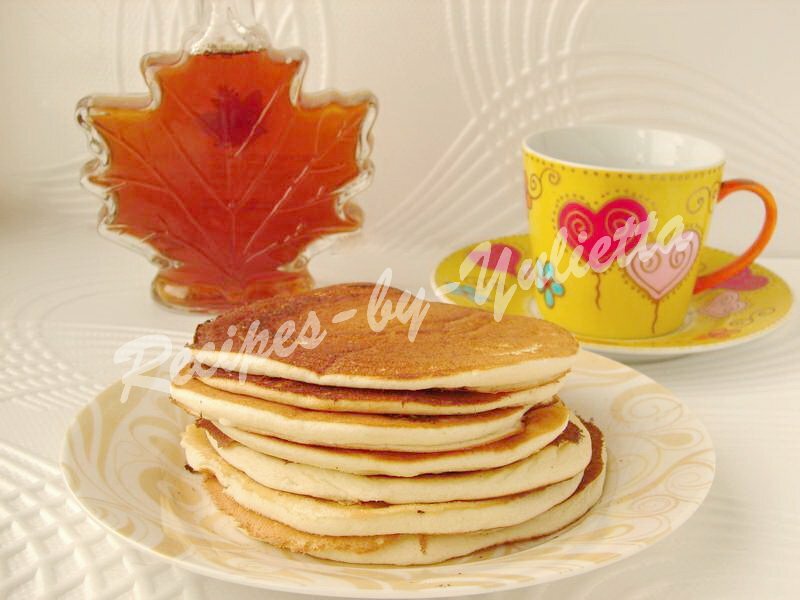 Mix again. 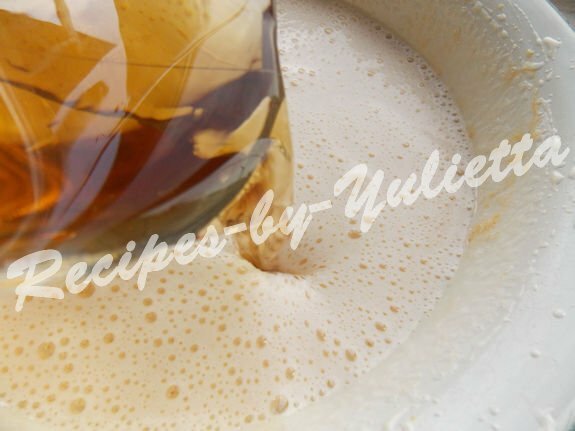 Grease the form with vegetable oil and put the dough. 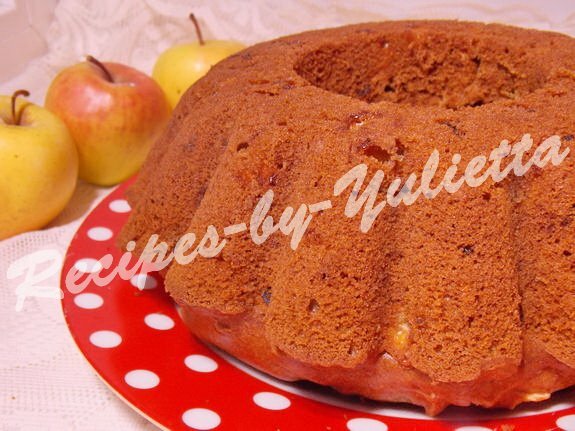 Bake better in the form with a hole, so that the cake will be baked faster. 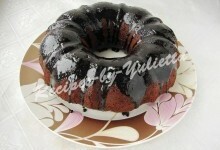 I have got 1 big cake in iron form and 8 small cupcakes in silicone forms. 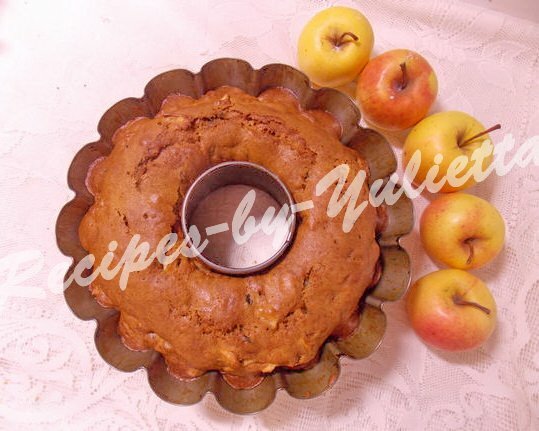 Bake the apple cake at 180 C or 356 F. The small cakes were baked for about 40 minutes, and the big cake was baked longer, from 1 to 1 ½ hour. 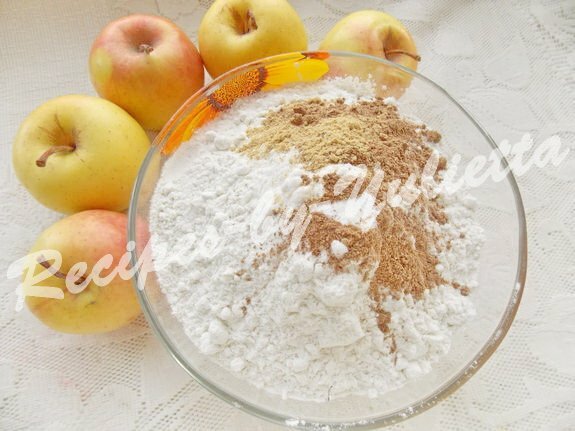 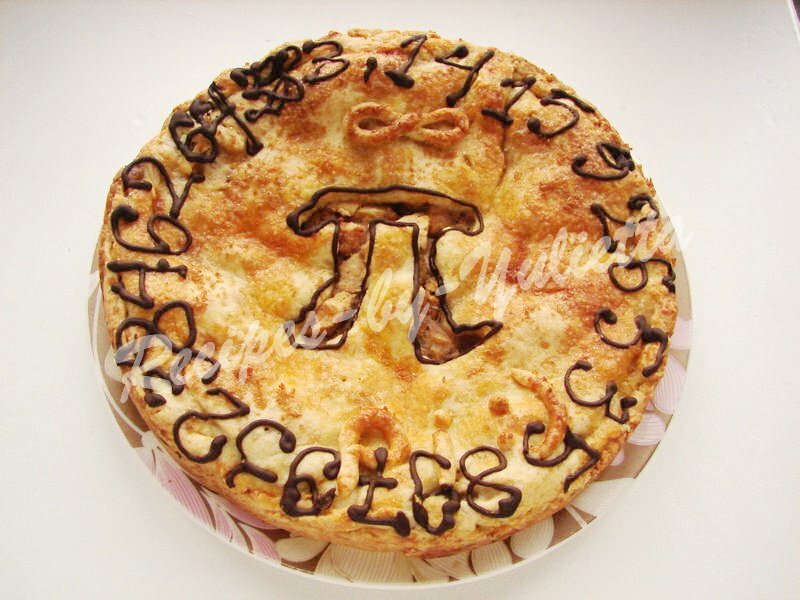 The time of preparing may be different, in dependence of your oven and the size of cake, so cook it until dry wooden stick. 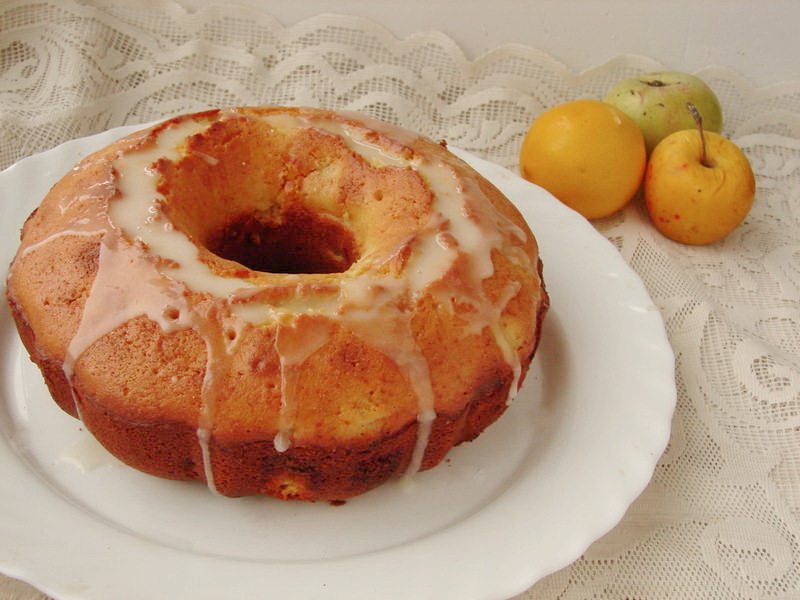 Let the cake cool down for 10 minutes, then gently shake out from the form on the dish. 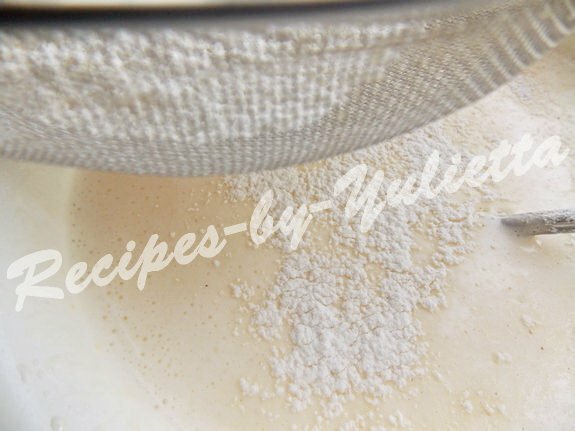 Turn the cake over and sprinkle with powdered sugar.